25/01/2019 Too Embarrassed to Exercise? I asked the children to expand on this. Why might they be too embarrassed to come? The children really did hit the nail on the head with their answers. 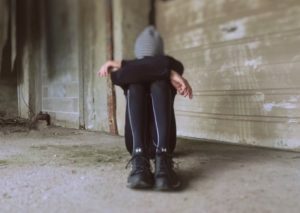 Whilst we often assume it’s laziness and a lack of motivation that causes exercise avoidance, I think a major cause of it is fear of embarrassment. Maybe it harks back to the days of school PE. Maybe you weren’t very good at sports and always got picked last for the team. Maybe you had to suffer the stares or giggles of others in the changing room. Whatever it is that gives you exercise anxiety, going to a class or the gym for the first time can feel intimidating for anyone, anxious or not. The thought of exercising in front of others can make many people feel very self-conscious. Being embarrassed about how you look. Being embarrassed about how you will look exercising. Not being able to do it. Let’s address the first issue – The fear of entering a room full of fit, slim, young women and sticking out like a sore thumb. Most of us have body hang ups no matter how confident we are but we don’t let them get in the way of our daily lives. Yet when it comes to going to a class or the gym we start comparing ourselves to the other women there before we’ve even seen them! This can really hold us back. We conjure up mythical images of what everyone else will look like, decide we definitely won’t fit in and opt to stay at home to save our self the humiliation. What you will actually encounter when you enter such an environment is women of all different shapes, sizes, ages and abilities. You will find other women just like you! Remember, everyone will be too busy worrying about how they look to be worried about how you look! Now let’s look at the second factor. Exercise isn’t glamorous even when you’ve got your favourite workout gear on. I’m talking sweaty hair, sweat patches and beetroot red skin. I’m talking about your body jiggling up and down. Why would anyone want to look like that in front of other people?! Why should we be embarrassed about pushing ourselves through a challenging workout, shouldn’t we be proud?! Nobody in a fitness class or a gym is ever going to look your way and think “I can’t believe she is sweating!” We really need to get over this fear of not looking as fresh as a daisy when we’re working out. There is no need to work out with a full face of make up on! As for jiggling, everyone jiggles no matter what size they are! Worried you have more to jiggle than others? OK I hear you. But you aren’t going to be the only lady at the class who isn’t a size 10. We know that exercise means we have to get moving and it won’t always look graceful! Don’t hold back on giving a 100% because you are worried about how your body will look in the process. You’ve never done it before. You won’t know what to do. You won’t be able to keep up. You think it will be too hard and decide you can’t do it before even trying it. If you’ve never done something before no-one expects you to know what you are doing! You don’t just get in a car for the first time and drive. I can promise you that you will be met with help and encouragement not humiliation when you step into an exercise environment for the first time. All firsts are nerve-wracking but they usually finish with “what was I so worried about? !” The reality is that anyone attempting a new type of exercise for the first time will find it hard. Even if you’ve taken a little break from exercising, you will find that first workout back hard. Will you be the only one finding it hard? No! Just because it’s hard work does that mean you won’t be able to do it? No! Will it get easier? Yes! Don’t write yourself off. Another important point to remember is the instructor does this day in day out – they don’t expect you to be able to copy them perfectly, especially not in your first session!